This is a professional unit. Please call for information. 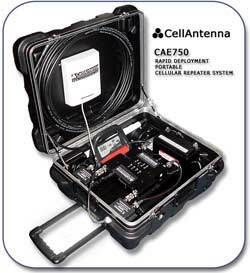 A fully-portable version of CellAntenna's popular CAE700 dual-band repeater system, the RDCRS allows government agencies and other users to immediately deploy a dual band solution that boosts mobile signals in outdoor and indoor areas that may not have adequate mobile signal coverage due to natural or terror-related disasters. Designed specifically for use in emergency operation centers and response vehicles, the RDCRS facilitates mobile communication in areas as large as 1500 square meters, ensuring that personnel in that radius will receive reliable, clear mobile signals in low signal level conditions. The RDCRS is packaged in a rugged, roller-type case for easy transport, can easily fit into the trunk of a vehicle, and is lightweight enough to be deployed by a single person. For the 750 to truly be an effective emergency operations device, it has to be able to deal with yet another challenge; Power. Due to disaster-related outages, power can be just as unreliable as the mobile signals CellAntenna’s box was designed to boost. This is why the engineering team incorporated a battery backup system, providing the unit with up to 8 hours of rechargeable battery power. This insures that with the RDCRS, powerful and reliable mobile reception can be provided in virtually any circumstance, anywhere in the world. 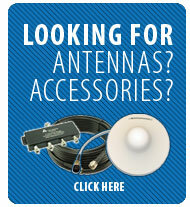 The configuration of the RDCRS provide full contiguous coverage of the GSM 900 and the DCS 1800 Mobile bands with one set of antennas and cabling using CE approved amplification. The RDCRS can handle up to 1500 square meters of area. (2) Low loss cables with connectors already attached.